MedFriendly Medical Blog: What is Bed Management? Bed Management goes beyond assigning one bed to each patient showing up in the long queue of hospitals’ emergency services. Bed Management systems are computer software that assess the needs of a patient, his/her conditions, the level of care required, and matches that information with an available bed in the building. Furthermore, recent software can identify which beds are clean and ready to receive a new patient and which beds, that might be a suitable match, need to be cleaned. A good system will even dispatch the cleaning team to ensure that the bed is ready in a reasonable amount of time to minimize waiting and crowding the emergency room. Physicians, nurses and patients deplore the fact that too often, patients must wait, sitting in hospital chairs, for a bed to be ready. Even though these chairs can be quite comfortable in design and in cushioning, they do not replace the need to eventually find a bed for that patient. Chairs are fantastic for certain treatments, like dialysis and chemotherapy, but other conditions require a patient to be hospitalized and in that case, staff must find a bed. 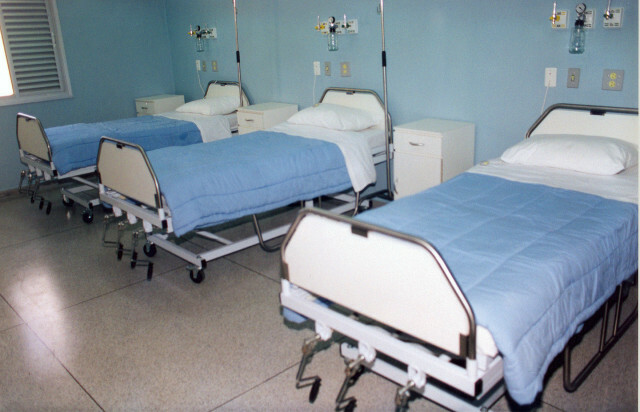 Depending on the mobility of the patient, the diagnosis posed on his/her condition, or his behaviour, not all beds are suited to meet his/her needs. A good Bed Management software will be able to identify the best bed for each patient. If the perfect bed is occupied already or needs to be cleaned, the software will identify and respond accordingly. A cleaning team might be sent, or a second choice might need to be found. When the perfect bed is ready, an alert will advise the admission team and transportation will be arranged. Having a great Bed Management system means that patients’ wait time decreases, fewer calls need to be made between departments, and everyone is more satisfied with their hospital experience. As hospitals are accountable to governments or boards of directors, it is in their advantage to maximize the number of patients they can process in one day. Having the right Bed Management system helps hospitals admit patients more efficiently, care for them in a timely manner, and dispatch doctors and nurses more effectively to treat their conditions. Some say time is money. In the healthcare system, time is the element that might make the difference between life and death. When hospitals shift their focus from managing beds to caring for patients, everyone gains. Using a good Bed Management system can certainly help the process. As money is an important factor in managing a hospital, directors should consider investing in the most efficient Bed Management system for their institution. Overseeing many aspects of a patient’s journey through the system, the right software will maximize the hospital’s assets and resources while minimizing time and effort. It avoids doubling on certain tasks from cleaning a bed to transporting a patient from room to room until a bed is ready. In sum, it makes sense for hospitals to have the right Bed Management software in use.